Relax at the consistently enjoyable Microtel Inn and Suites by Wyndham Delphos conveniently located off Highway 309 and Route 30 near restaurants, stock car racing at Limaland Motorsports Park, local history at the Delphos Canal Museum, and swimming and water slides at Stadium Park just 2 miles from the lodging. 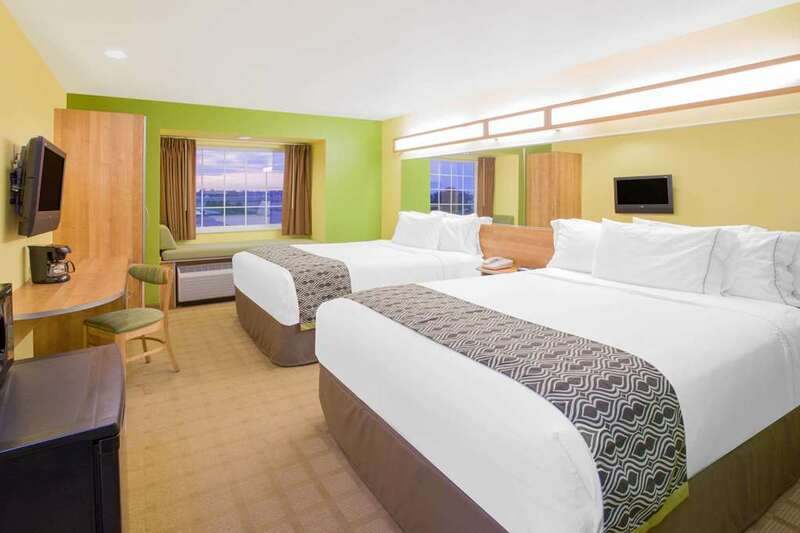 Enjoy comfortable, modern amenities at a great rate at this lodging with complimentary parking. Start your day with the complimentary continental breakfast, and stay productive in the meeting room and business center. Guest room amenities include hairdryer and coffee-maker. Suites, rooms with microwave and refrigerator, and handicapped-accessible rooms are available. This is a smoke free lodging.